So what happens when a god falls in love with or… you know….consorts with a mortal-type babe? If Zeus is any kind of model upon which we can base an hypothesis, we know that his dalliances made for an unending number of problematic situations. And not just for the gods! Imagine Leda trying to explain the whole swan thing to her dad. Yeah right. But what if a god was reared with a solid moral background supplied by good-hearted (and liberal??) Midwestern parents? Well then, a supreme being just might end up with the intestinal fortitude to go all the way (as it were) in an inter-species relationship and still keep the Cosmos mostly intact. And if this super-being is Kal-El of Krypton and the woman he loves is Lois Lane a smart ambitious and just plain nosey gal by nature, he’d have to really keep on the super-tips of his super-toes. Sure the old secret identity roundelay (think of an Episode of Frasier with all sexual tension gone) got boring after a few short decades (a mere blink of an eye to an immortal!) but whenever the god’s creators (explain that one!) 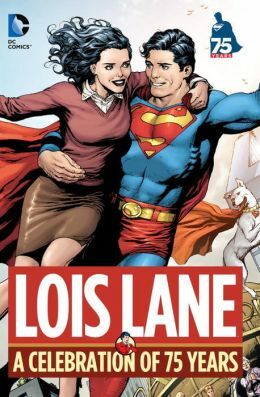 stepped outside this ol’ reliable conceit, comic readers discovered that Lois Lane is a real character with real story potential. Don’t believe me? Well then try this new volume that collects stories reprinted from ACTION COMICS #1-2, 6, 484, 600 and 662, ADVENTURES OF SUPERMAN #631, ALL-STAR SUPERMAN #2-3, MAN OF STEEL #2, SHOWCASE #9, SUPERMAN #29, 33-34, 58 and 168, SUPERMAN 80-PAGE GIANT 2011 #1, SUPERMAN: LOIS LANE #1, SUPERMAN’S GIRL FRIEND LOIS LANE #5, 16, 23, 42 and 106, and WONDER WOMAN #170!